The mapping closure of Chen et al. [Phys. Rev. Lett., 63, 1989] is a transported probability density function (PDF) method that has proven very efficient for modelling of turbulent mixing in homogeneous turbulence. By utilizing a Gaussian reference field, the solution to the mapping function (in homogeneous turbulence) can be found analytically for a range of initial conditions common for turbulent combustion applications, e.g. for binary or trinary mixing. The purpose of this paper is to investigate the possibility of making this solution a presumed mapping function (PMF) for inhomogeneous flows. 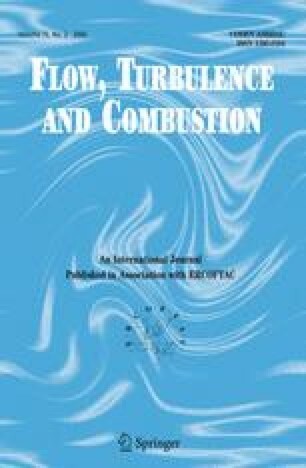 The PMF in turn will imply a presumed mixture fraction PDF that can be used for a wide range of models in turbulent combustion, e.g. flamelet models, the conditional moment closure (CMC) or large eddy simulations. The true novelty of the paper, though, is in the derivation of highly efficient, closed algebraic expressions for several existing models of conditional statistics, e.g. for the conditional scalar dissipation/diffusion rate or the conditional mean velocity. The closed form expressions nearly eliminates the overhead computational cost that usually is associated with nonlinear models for conditional statistics. In this respect it is argued that the PMF is particularly well suited for CMC that relies heavily on manipulations of the PDF for consistency. The accuracy of the PMF approach is shown with comparison to DNS of a single scalar mixing layer to be better than for the β-PDF. Not only in the shape of the PDF itself, but also for all conditional statistics models computed from the PDF. Acklam, P.J., An algorithm for computing the inverse normal cumulative distribution function (2005). http://home.online.no/~pjacklam/notes/invnorm/.